we, too, should have rights. We turtles can't stand it. Our shells will all crack! We are starving!" groaned Mack. When I read this passage to my kids, my mind immediately turns to...Obamacare. 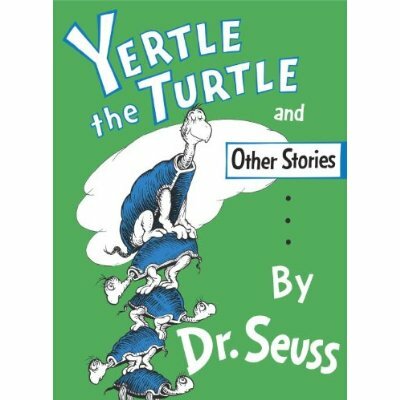 The tale of a turtle with visions of grandeur feels very apropos in our country's healthcare debate. While we doctors are struggling with medical malpractice run amok, decreasing reimbursements, and escalating expenses, our political leaders and visionaries, who mostly have no idea how medical economics works other than what they read in their white papers, are making decisions for us that are mostly detrimental to our practices but sound good enough to help them get reelected. Oh sure it may seem wonderful that over 30 million people will have health insurance once Obamacare takes full effect. But the insurance for these millions of new patients will only pay at a Medicaid rate, something which is already unacceptable today. What other professional field is forced to accept work that will only pay ten cents on the dollar? Then there is the lack of malpractice reform. A bone was thrown to us with a few reform programs being tested around the country. But true conviction on reigning in ambulance chasers is still just a fantasy. The people and organizations who are supposed to be looking out for our welfare are mostly AWOL from the scene. The AMA? Look who they sided with during the debate over Obamacare. They are in bed with the politicians and thus not trusted by most doctors in the country. Republican lawmakers? They are in the pockets of the lawyers, bankers, and insurance companies. The President? He's too busy building a new Socialist Republic of the United States of America to care about the plight of physicians. His plans to raise taxes only on the "rich" or anybody making over $250,000 hits mostly the professional class. We are the people who are paying back enormous student loans, attempting to meet payroll and other office expenses, and laying out serious money for malpractice insurance. Most doctors will tell you they don't feel "rich". For people who are truly rich, the sports stars, Hollywood actors, Goldman Sachs partners, Silicon Valley entrepreneurs, and other multimillionaires, the new taxes hardly affect them as they already have more than they could possibly spend and can stash their loot in various tax free vehicles not accessible to the rest of us. When will this pyramid scheme known as Medicare/Medicaid collapse under its own weight? When do doctors finally say "enough" to the humiliating exercise of begging for the status quo each year when the CMS threatens to cut reimbursement because of the ridiculous SGR formula enacted in the 1990's? When will Yertle the turtle come crashing down as enough turtles finally give up on propping up this illusion?